10 Best iPhone Travel Apps For Frequent Flyers. 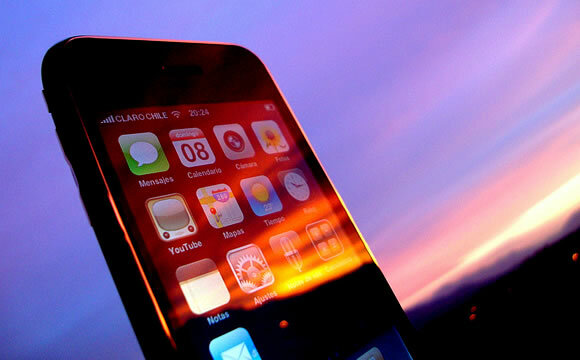 The iPhone is one of the best selling smartphones on the market. One of the main reasons for the success of the iPhone is the variety of apps available. Users find Apple’s interface very simple when it comes to using apps. There are tons of apps available to download in every category. One category that may interest you is air travel. The iPhone has tons of apps geared toward air travel. Here are ten of the best apps for frequent flyers. This is an excellent app from PageOnce. There is a free and paid version, but the free version is more than sufficient. This app serves as a dashboard for all of your travel information. You can check flight statuses, gate numbers, and baggage claims. You can also track the progress of a flight. In addition, you can get hotel and car rental information as well. The interface makes this one of the best travel itinerary apps available. There is a free version of this app available, but the extra features make the small price worth it. You can search for, book, and track flights. You can also manage your travel itinerary using this app. It is ideal for last minute changes such as hotel bookings or different flights. This app offers great tools to help you in any travel situation. This app has great flight tracking information. You get departure and arrival times, gate information, and baggage information. You can even see how much time is remaining on your flight. The interface shows you a map and all of the information you need for any flight. You can check in for flights and see a live seating chart. The main purpose of this app is to help you find alternate flight plans. It could be because you missed a flight or because a flight was cancelled. The app lists all available flights from any origin to any destination. You get detailed information about departures and arrivals as well as the flight path. You also get detailed airport information as well as hotel and car rental options. This app isn’t specifically designed for airplane information, but it is a handy app for helping you plan a trip. It lets you mark your favorite places in any city. You can also log recommendations from friends and magazines. It’s a great way to track places to visit. There is a free and paid version. Either one can be beneficial. Basically, this app provides you with detailed maps of most airports. It is handy to have in case you are at an airport you aren’t familiar with. The paid version is perfect if you travel frequently for business. This app covers all aspects of expense reports. You can even use your iPhone to take pictures of receipts. Everything is easily categorized. If you need to contact a hotel or airline, all you need to do is touch one button. This is a free app geared toward finding the best flight, hotel, and car deals. The best feature of the app is the ability to set your own price. You can set the parameters of a flight and how much you are willing to pay. Usually, Priceline will meet your goal. There are three different versions of this app, and all offer some excellent features. You can track in-air flights, manage and share itineraries, and contact airlines directly from the app. There are tons of other features depending on the version you get. This app is an excellent tool for managing and tracking flights.